Boulder County Senior Law Day 2017 will take place at the Plaza Convention Center in Longmont. 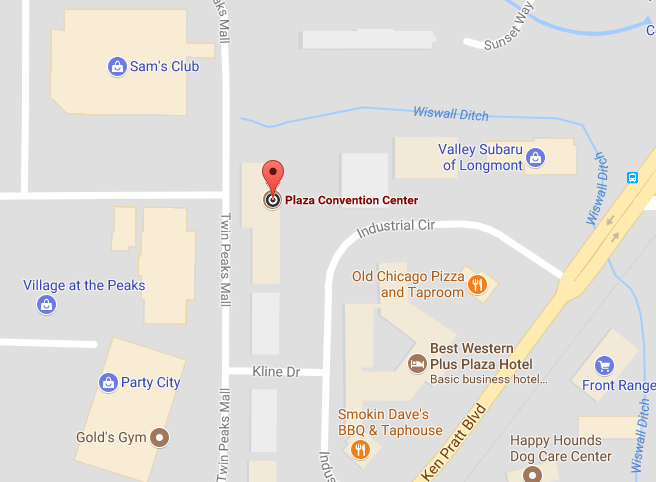 The Plaza Convention Center is located behind the Best Western Plus Plaza Hotel off Ken Pratt Boulevard (Highway 119) between Old Chicago's Pizza and Smokin Dave's BBQ. Boulder County Senior Law Day guests are asked to park directly in front of the Plaza Convention Center (not the Best Western Plus hotel). ​Please park only within the area circled in blue below.